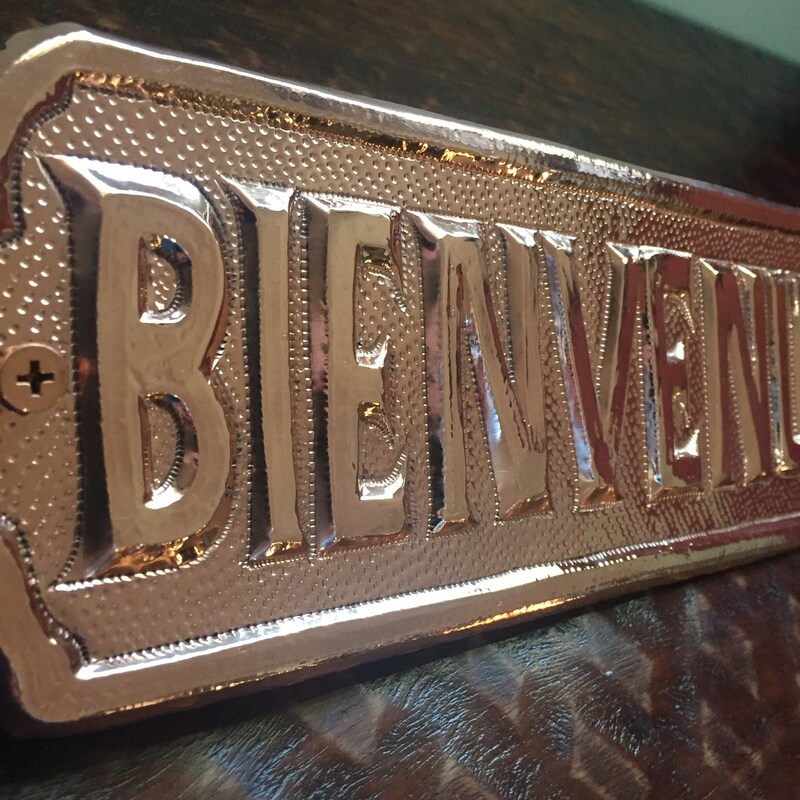 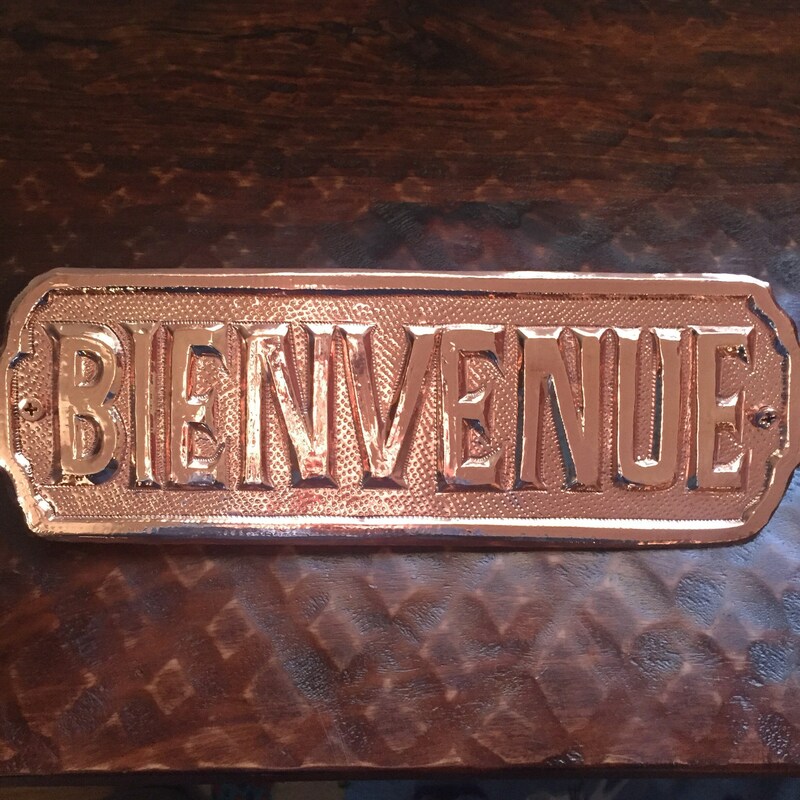 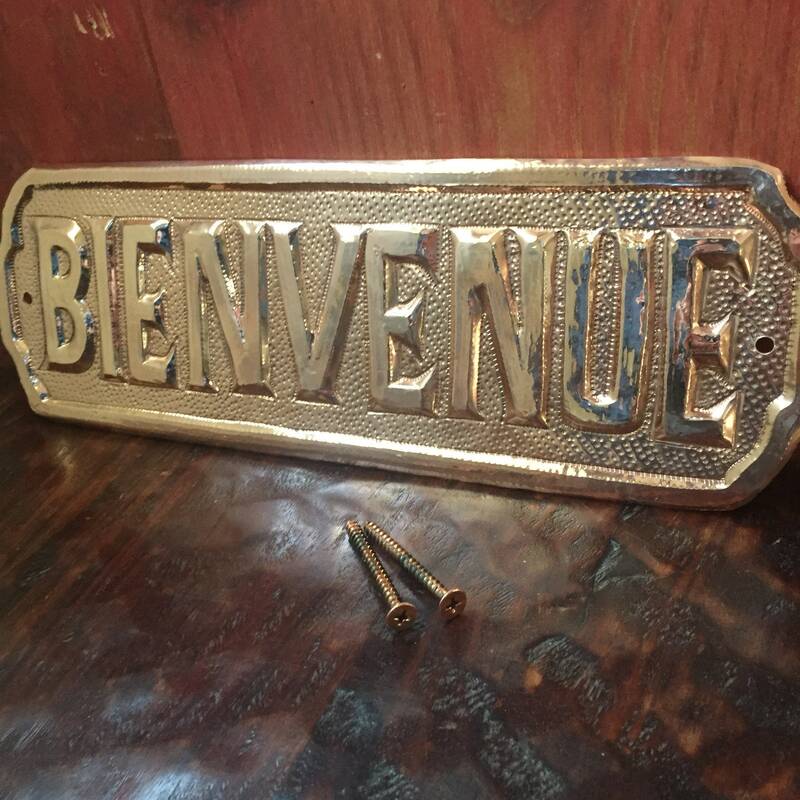 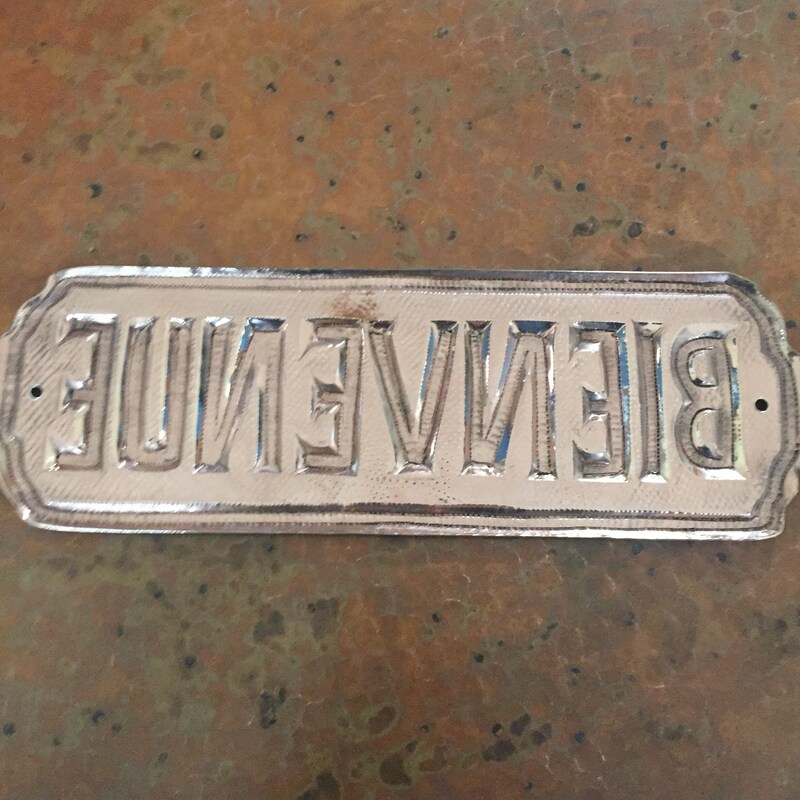 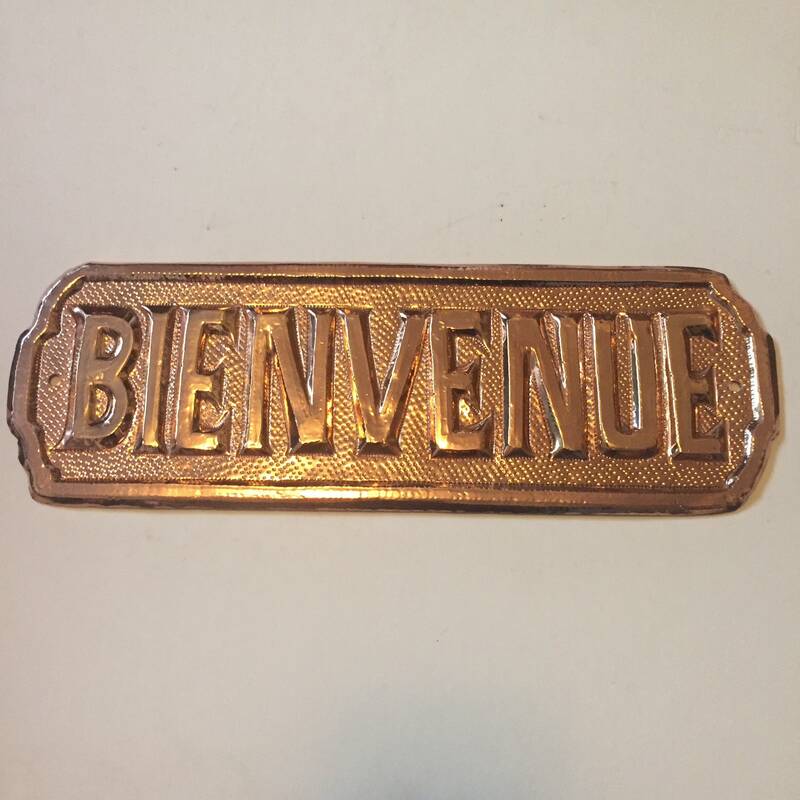 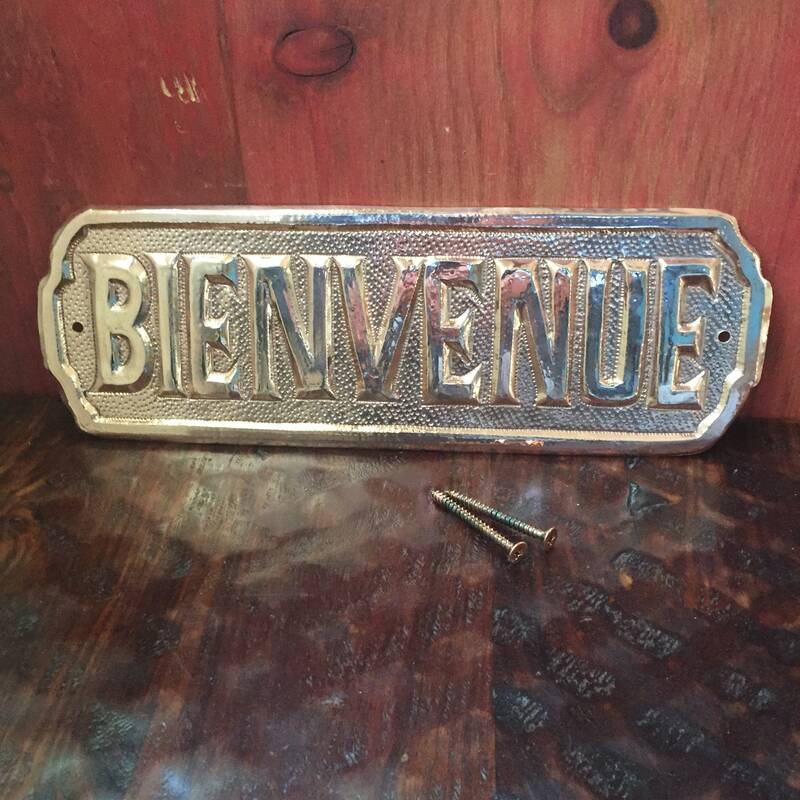 Hammered Copper Bienvenue Sign. 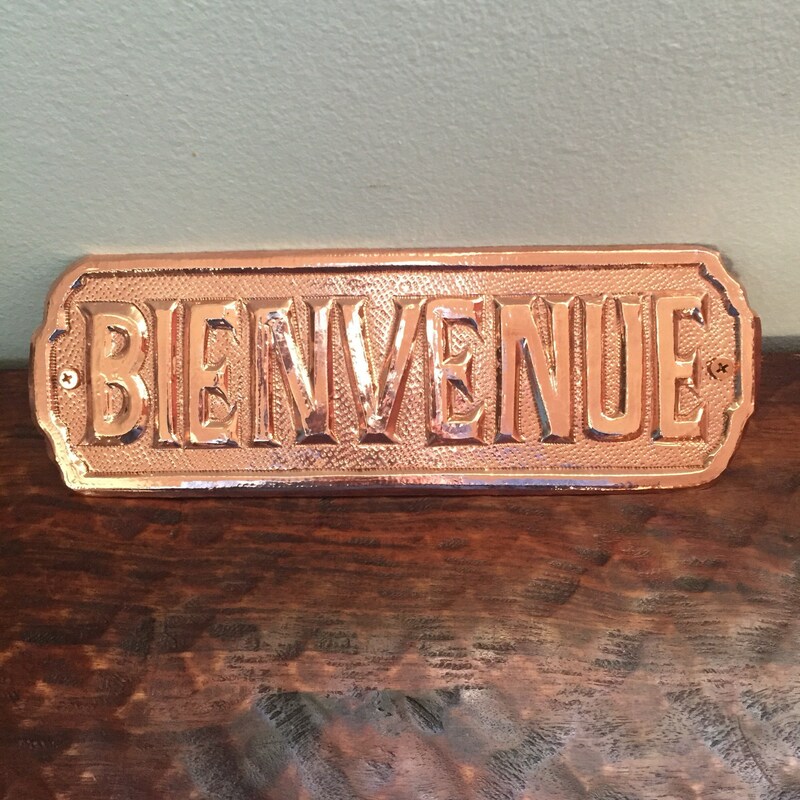 Hand hammered pure copper, hand engraved. 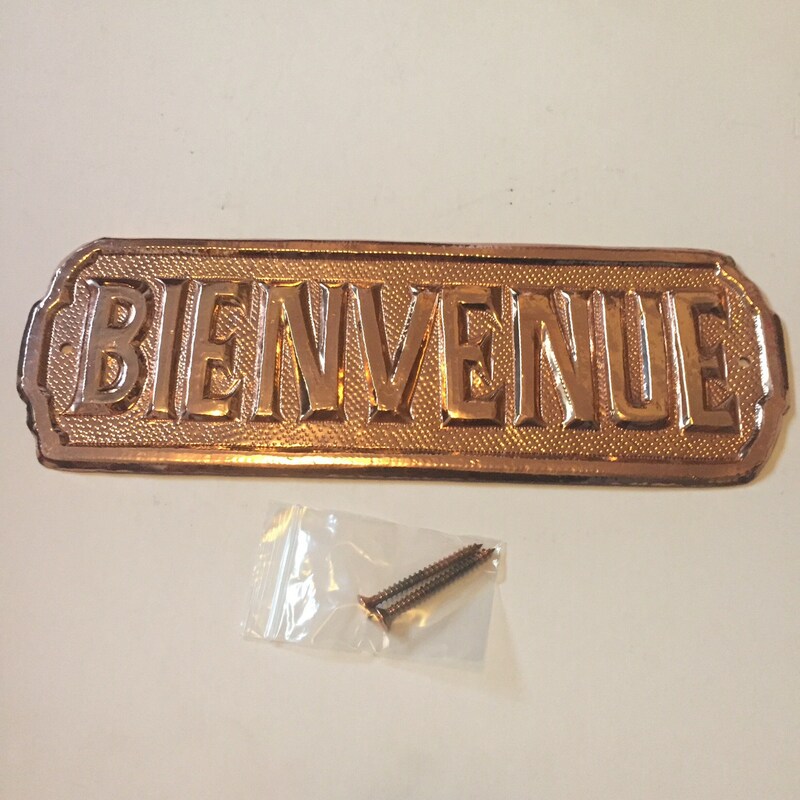 Includes two #10 x 2” copper coated screws for easy mounting. 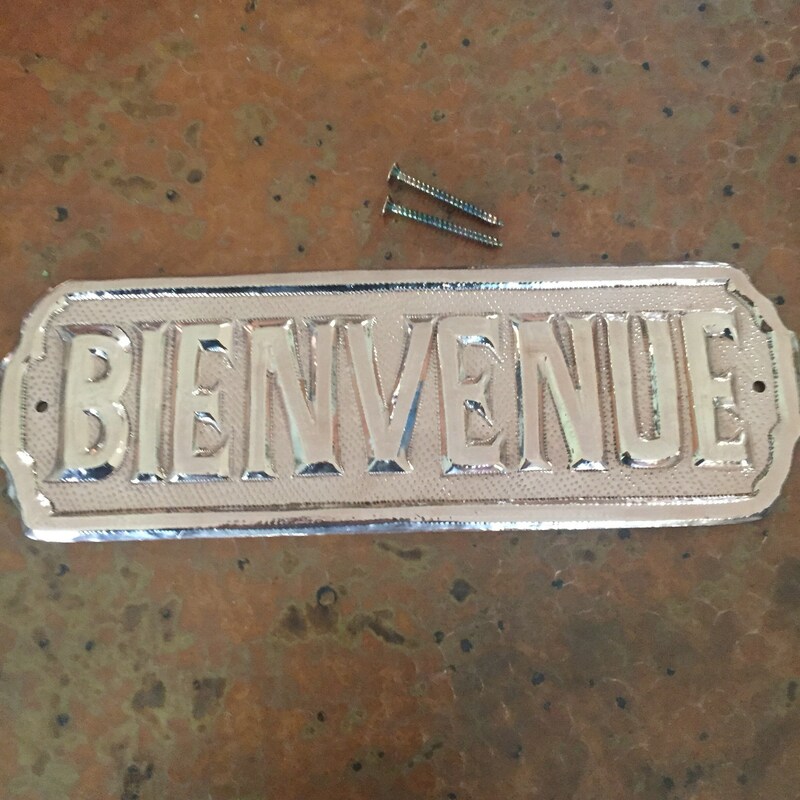 We can make custom signs for your next corporate event, wedding, restaurant, business, or for your home. 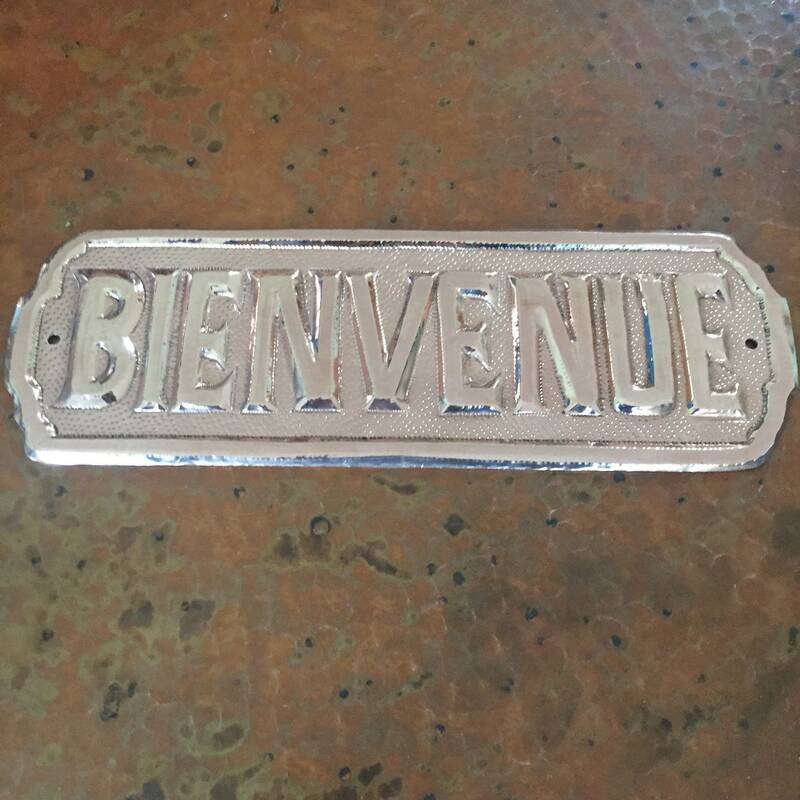 Contact us with your ideas.